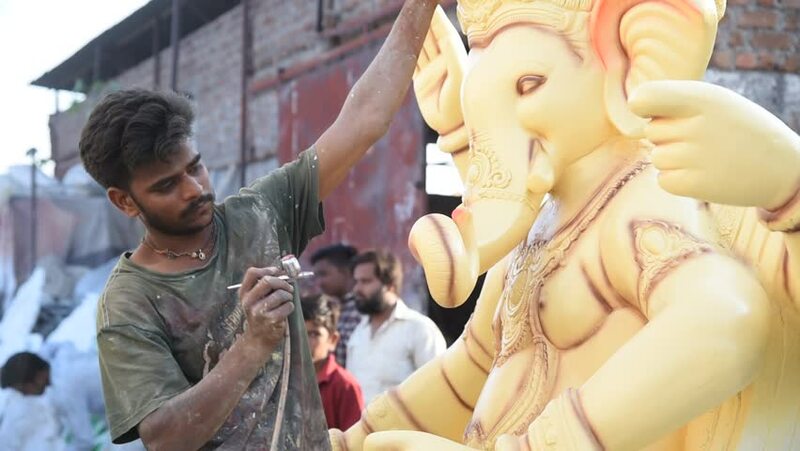 hd00:17AMRAVATI, MAHARASHTRA - SEPTEMBER 12, 2018: Artist gives finishing touches on an idol of the Hindu god Lord Ganesha at an artist's workshop for Ganesha festival. hd00:23A medical worker from a charity organization uses a stethoscope to listen to the heartbeat of a small boy. In slow motion.